If the amount of your Online Gift Certificate(s) is for MORE than the total order amount, the balance will be stored with your dickies.ca account for your next purchase using the same Gift Certificate code. Online Gift Cards can be ordered in any amount between $5.00 and $250.00. They are sent via e-mail to any individual with a valid e-mail address. 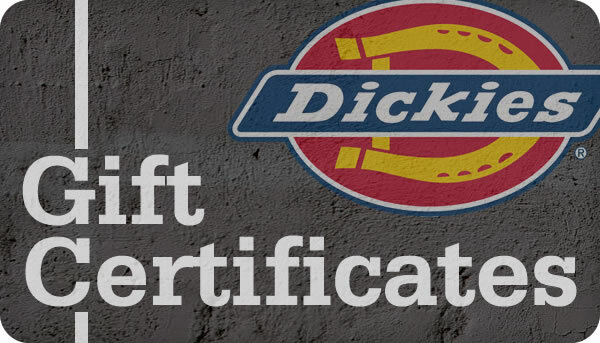 The recipient of an Online Gift Card will receive an e-mail with a Gift Card Code redeemable only at dickies.ca. The code is activated within 24 hours after receiving the e-mail.